Here you will find a selection of hotels and country inns in North Wales, the Isle of Anglesey, Snowdonia and the north coast seaside resorts: Llandudno, Conwy, Caernarfon. We now include luxury B&B's in our lists, so whatever type of accomodation you're after Welsh Country Inns will help you find it! Just click on the name of the hotel or inn for more details, photos, prices and book on-line! 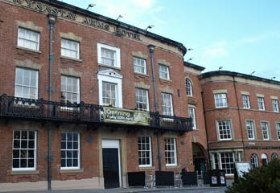 This 18th century grade II listed hotel sits in the heart of Wrexham and offers guests 27 en-suite bedrooms (all furnished to a high standard), a charming cafe and bar and free hotel parking. This lovingly restored Georgian hotel is situated in the heart of St Asaph and boasts 11 luxury en-suite bedrooms. The hotel's pub / restaurant offers a fabulous Chicken Rotisserie menu. Situated in centre of Anglesey. AA & Welsh Tourist Board coaching inn. Near to all ferry terminals to Ireland from Holyhead which is 20 minutes away. Listed building oozes character. 22 rooms high standard. Executive rooms also available including 4 poster bed. Local company owned by local group. Explore North Wales from here Caernarfon, Bangor ,Pwllheli, Porthmadog etc. This design hotel boasts a private beach and panoramic views over the Menai Straits. Set in a Grade II listed Victorian villa, period features such as wooden floors, panelled walls and painted ceilings are still visible. Plas Rhianfa also offers a lounge bar and on-site restaurant. Enjoy outdoor dining overlooking the private beach and jetty, or wander through the picturesque gardens and grounds. Free Wi-Fi and a luxury private bathroom are provided in each room. Full use of a hot tub which overlooks the beach is also provided. The entrance to Snowdonia National Park is just 15 minutes’ drive, with Bangor city centre and Beamaris just 3 miles away. Enjoying panoramic views across sea and countryside, Ty Dderw Country Inn is set in a converted farmhouse in Llanallgo, 10 miles from the Britannia Bridge and a 15-minute walk from the maritime village of Moelfre and the Anglesey Coastal Path. An oak-beamed bar and lounge area features an open fire in the winter months and there is a sun terrace for warmer days. Free Wi-Fi and free on-site parking are available. The Black Boy Inn is a minutes walk away from Caernarfons famous 13th century castle; a looming, fantastical World Heritage Site. Nine hundred yards further is the starting point of the Welsh Highland Railway, offering a journey through the fabulous scenery of the Snowdonia National Park. The Black Boy Inn has been offering accommodation and dining of distinction since 1522. Situated in the heart of the Royal Borough of Caernarfon, within the medieval castle walls, the hotel has charm aplenty with its roaring open fires, oak beams and all the Welsh character that its age & location suggests. Situated smack in the middle of World Heritage Town of Conwy with part of the hotel dating back to the 1600's. In the last 4 years, the hotel has had a major upgrade to its 28 bedrooms and suites, including the Wynn Suite with a very grand, ornately carved four poster bed dated 1570 and Caer Rhun Suite, complete with 2 person jacuzzi bath! The hotel serves local food in newly designed Dawson brasserie and bar. In winter months Conwy mussels are fantastic and the Welsh beef and lamb are sourced from farms locally. The 17th century Hawk and Buckle Inn was extensively renovated in 2007 and is situated in Llannefydd, a peaceful, unspoilt village sitting high in the hills with lovely views of the sea. The inn's black beamed lounge bar has undergone a complete renovation while retaining its character and charm, ideal for relaxing with a wide range of fine wines, ales and spirits. There is an extensive menu including bar snacks. The Hawk and Buckle also offers individually decorated en-suite rooms, each with jacuzzi bath, shower, complementary toiletries and internet access. The Kinmel Arms is a haven of rural tranquillity only a few 100 metres from the A55 with ready access to the coast, mountains and cwms of North Wales. In our award winning restaurant and bar we serve local real ales and an extensive wine list with produce sourced locally to produce rosette standard cuisine. Four remarkable and individually designed superior 5 star suites complete our restaurant with rooms. Just a couple of miles from Caernarfon, with its world famous castle, this hotel is steeped in royal history. The family seat of The Armstrong-Jones family, Lord Snowdon and Princess Margaret were frequent visitors here. The hotel retains much of the original furniture and memorabilia. Fantastic food and wine - superb sea and mountain views. .
Ty'n Rhos (the house on the heath) is now a 5*country house (guest Accommodation) & restaurant of distinction offering the finest accommodation to discerning travellers and lovers of good food. All the bedrooms are en-suite and are decorated and furnished to the highest standards. WiFi is available in public rooms and some bedrooms. There is a lovely dining room with wonderful views across farmland to the Isle of Anglesey. This is where the talented chef/proprietor and his team present high quality dishes using the finest fresh local ingredients to promote a Taste of Wales. Developed and extended from a comfortable olde Inn. The Lion Hotel is situated on the edge of the village green, in the heart of this unspoilt seaside town, and has magnificent views of the mountains, castle and sea. The hotel is fully licensed and offers a varied and lively entertainment programme. Superb base for exploring both Snowdonia and Llyn Peninsula, both areas of outstanding natural beauty. The multi-award winning, centuries old Ty Gwyn with its three four poster rooms and honeymoon suite, beamed ceilings, antiques and log fires in winter, is one of the most traditional Inns you will visit in the beautiful Snowdonia National Park. Situated in Betws-y-Coed, the Ty Gwyn has a very good reputation for its food, using the freshest of local produce. Many of the ingredients are grown in Ty Gwyn's own polytunnels, situated in 2 acres adjoining the Ty Gwyn. So you can be assured of high quality, fresh seasonal produce in all Ty Gwyn's menus. The famous Royal Oak is a 3 Star historic former coaching inn in Snowdonia, situated in the centre of the beautiful Victorian village of Betws-y-Coed, often referred to as the Gateway to Snowdonia. The Lion, a 400-year-old country inn in the beautiful village of Gwytherin (home of St Winifred and the 1st Cadfael novel), offers six bedrooms (all en-suite) of the highest quality. FreeSat flat screen TV, DVD player & free WiFi are on hand if you have time after enjoying the wonderful local scenery. All the bedrooms have countryside views and a full Welsh breakfast will set you up for the day. There is a traditional bar with a huge open fireplace, low beams, comfy seating and local "real" ale. Seiont Manor is situated in 150 acres of grounds and is surrounded by farmland, lakes and rivers. Our accommodation in Caernarfon, Snowdonia has 28 comfortable bedrooms are all spacious, all of which offer a balcony or patio doors. The hotel also offers a 40 foot indoor swimming pool,a 2 Rosette restaurant and a newly opened conservatory brasserie. Located in the centre of town, this 4 Star WTB and AA Inn offers comfortable rooms and great breakfasts. It is just a five minute walk from Llyn Tegid (Bala Lake), or a thirty minute drive to the coast. All rooms are en-suite and have DVD TV's plus tea and coffee facilities. This is the best known of all the hotels and inns in Bala. Its origins as a hotel are unknown but the tablet above the front door proclaims that the present building (with some alterations) has been there since 1759. The snug BAR is one of the smallest bars in Wales dating from the hotel's days as a posting house and is also popular with locals. The 18th century Golden Lion Inn nestles in the foothills of the Clwydian hills, 4 miles from Ruthin and Denbigh, in an area of outstanding natural beauty. The Offa’s Dyke path is just over half a mile away making the Golden Lion an ideal place for walkers to rest with a drink, dine in the restaurant or stay overnight in the two comfortable en-suite rooms. The bar area has a cosy, open log burning fire. Situated in the beautiful Ceiriog Valley, this delightful hotel 16th century residence has a wealth of charm and character, with inglenook log fires and original timbered ceilings. Tranquillity and a warm welcome await you at this charming country inn. Over 400 years old, the period quality extends into the bedrooms. Best Seafood Pub of the Year 2007, the West Arms holds AA 3 stars and an RAC 2 star rating. Furthermore, the hotel has just been awarded by their 2nd AA rosette for fine dining and also been upgraded to a 4-star. Set in the glorious countryside of the upper Ceiriog Valley, The Hand at Llanarmon, with its oak beams and (in winter) blazing log fires, epitomizes the best in the traditional British country inn. The bar embraces local people and travellers alike, and the unique candle-lit dining room offers an excellent menu in relaxed, informal surroundings. In 2007 the commitment of our Head Chef, Grant Mulholland, and his team was recognised by the award of a prestigious AA rosette for the quality of their food. The Royal Hotel sits majestically on the banks of the River Dee in the heart of Llangollen town centre and is one of the landmarks that has come to define this stunning Welsh town. With its central location and breathtaking setting in between the Welsh mountains, The Royal Hotel offers a touch of paradise unspoiled by time. A major refurbishment program restored the hotel to its former glory, while taking great care to maintain its historical character and charm. The historic Bodidris Hall is over 650 years old (built in 1465). Enjoy a drink whilst perusing the menu in the beautiful lounge area. Amongst its features are original oak beams, stone mullion windows, a huge fireplace and comfortable armchairs. The ambience of the Baronial Restaurant is very special and the food is simply outstanding. Many diners are regular visitors, which is a testament to the extraordinary food and excellent service. Set within a traditional 18th century timbered building in the picturesque Ceiriog Valley in North Wales, this beautiful country hotel and inn is the ideal destination for a relaxing break. Offering peace and tranquillity to those who enjoy the countryside, The Golden Pheasant is just 20 minutes’ drive from the small town of Llangollen, or 10 minutes going over the picturesque valley. In the evenings you will have the choice of 2 restaurants and 2 bars, one with slate floor and open range fire in which you can relax and enjoy a quiet drink before dinner. The Bryn Howel Hotel is set in the magnificent Vale of Llangollen and many of our 36 rooms afford spectacular views of the countryside. 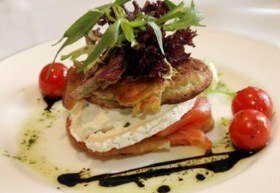 This family owned hotel prides itself on its friendly and efficient service backed up by a first class team of chefs who provide varied menus using fresh local produce. For over 40 years the Bryn Howel has been renowned for attention to detail and a personal service that ensures a warm welcome and memorable stay. Free WiFi Facilities. Set in the central square in Ruthin, the Castle Hotel is right at the heart of things. Explore this lovely town with its Castle, historic listed buidlings and glorious views over the Clwydian hills. The hotel boasts 17 en-suite rooms and free Wifi in the public rooms on the ground floor. This lovingly restored Georgian hotel is situated in the heart of St Asaph and boasts 11 luxury en-suite bedrooms. The hotel's pub / restaurant offers a fabulous Chicken Rotisserie menu until 21:00 every day, whilst during the summer there is a family dining area outside. Also outside is a charming landscaped garden and a children's play area. All room rates include a freshly cooked breakfast. This 18th century grade II listed hotel sits in the heart of Wrexham and offers guests 27 en-suite bedrooms (all furnished to a high standard), a charming cafe and bar as well as free hotel parking. History fans may be interested to hear that the hotel's balcony is where David Lloyd George chose to announce the end of World War I!